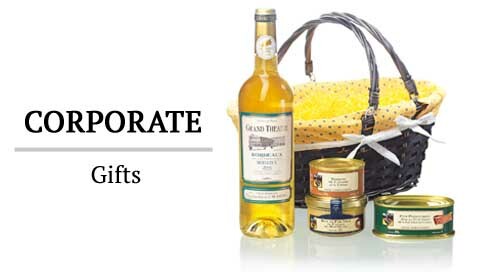 Maison Godard has been one of the pioneers to ensure a Southwest France origin for her duck and goose foie gras. Maison Godard’s quality commitment gives you the assurance that her foie gras come exclusively from ducks and geese, which are fed with maize by talented “gaveurs” in the South-West of France. 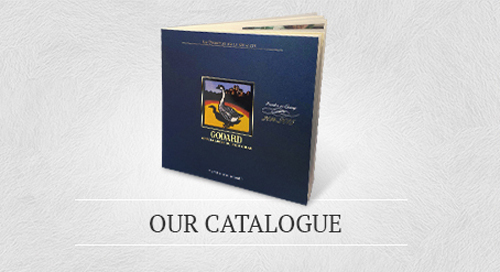 In 1999, Maison Godard obtained the so called IGP (Protected Geographic Identification) certification scheme and today it is one of the latest companies in the foie gras industry to still offer exclusively duck foies gras from Southwest France and goose foie gras from the Périgord. What does IGP stand for ? Through the IGP (Protected Geographic Identification) certification scheme, the European Union encourages farmers to produce products of given quality and of a high reputation. This standard ensures a strict quality commitment that is controlled by national certification bodies. The IGP certification trademark ensures to consumers a complete tracability of these delicate products. With the IGP trademark (Protected Geographical Identification), you have the guarantee that regional agricultural products have been elaborated according to strict rules which comply with EU quality standards: It is a genuine pledge for quality that is meant to guide you in your buying activities. 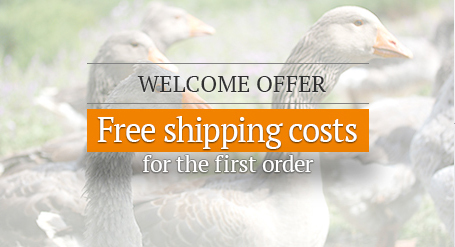 - Ducks are fed with maize. - Raised and fed in the Périgord region or in Southwest France. - Slaughtered, cut and prepared in the Périgord region or in Southwest France. This perfect traceability of our products strongly contributes to the excellent reputation of our Maison. All our gastronomic specialities are prepared with the freshest raw agricultural commodities according to oldest recipes, which are the heritage of the gastronomic know-how of our region. Because SAS GODARD-CHAMBON-MARREL has decided for a long time to transmit the values of her gastronomic heritage, because she shares the traditions of her territory, because she has become the ambassador of the culinary diversity of her region and the guarantor of the quality and the traceability of her used raw materials, she has become the first company of the Foie gras industry of Midi-Pyrénées to have been recognized "Quality producer " by the Collège culinaire de France. Because the members of the Collège Culinaire de France firmly believes " that we cannot make any Grande Cuisine without quality raw materials " and after the success of the quality label " Quality Restaurant " to promote the savoir faire of quality restaurants, they launched the new quality label "Quality Producer” that involves a quality link between quality producers and quality restaurants. Our products are regularly placed under control of an independent lab called A. Bio.C specialized in hygiene and safety areas, which ensures the level of excellence of our products. Established in 1993, the Concours Général Agricole aims to select and reward the best French products and the best breeding stock. Because it is organized under the control of the state and follows a rigorous and preset selection process, the Concours Général Agricole is known for its impartiality and the value of the results. Year after year, the French Ministry of Agriculture defines the rules of the Concours and its regional agents come physically in the manufacturing plants to take the samples that will compete. Our company has been rewarded 68 times since 1993. At the latest edition, Maison Godard obtained 7 new awards which symbolize the rarely equaled level of excellence of our products that every member of our family business welcomes with great satisfaction. The Whole Foie Gras: a lobe or a part of a lobe. The noblest product you can ever find. It is universally enjoyed by connoisseurs who appreciate its authenticity. The Block of Foie Gras with Pieces is a harmonious marriage of pieces of lobes and smooth textured foie gras. With this excellent “foie gras”, you would celebrate birthdays or family gatherings. The Block of Foie Gras is a smooth textured fine paste, to savour and enjoy to your heart’s content... Why would you resist it?